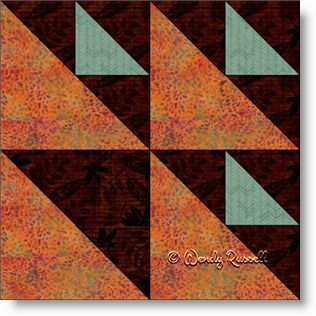 The Dutch Puzzle quilt block is an easy four patch block, made entirely of half square triangles. There are two sizes of triangles used to make this block. Due to the directional nature of the quilt block, by using groups of four blocks, rotating them by 90 degrees, you can construct a variety of looks with this one simple quilt block. Let your imagination soar and see what unique setting you can come up with.